Our waxed thread is made of high-grade polyester material, easy to work with by hand or with tools, which gives you a comfortable touch feeling when you stitch the leather, eco-friendly, sturdy and durable. It is suitable for all kinds of hand-sewing leather, stitching handcrafts, shoe repair and so on. 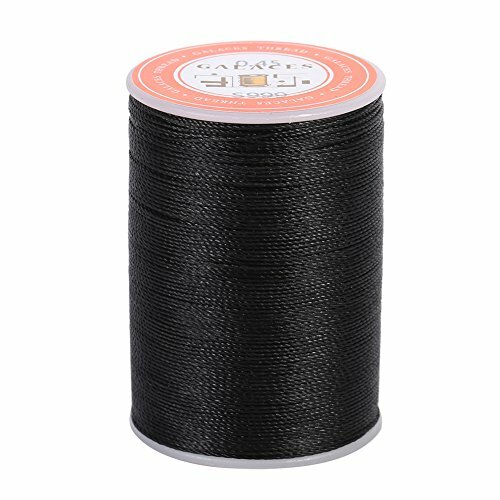 The thread is neat, line body is strong, wear-resistant, difficult to split or break. Having excellent quality and exquisite workmanship, professional and practical leather sewing tool, so when making leather products, our waxed thread is professional and necessary. 1, Please allow small errors in the dimensions due to accidental imprecise manual measurement. 2, The color of the item you received may be slightly different from that displayed on photos, as the brightness and color varies in different computer screen. View More In Crochet Thread.